The Invent Resistor Kit puts together 25 each of 20 of the most common resistor values. With this kit, you don’t have to worry about running out of resistors again. The Invent! Resistor Kit puts together 25 pieces each of 20 of the most common resistor values. 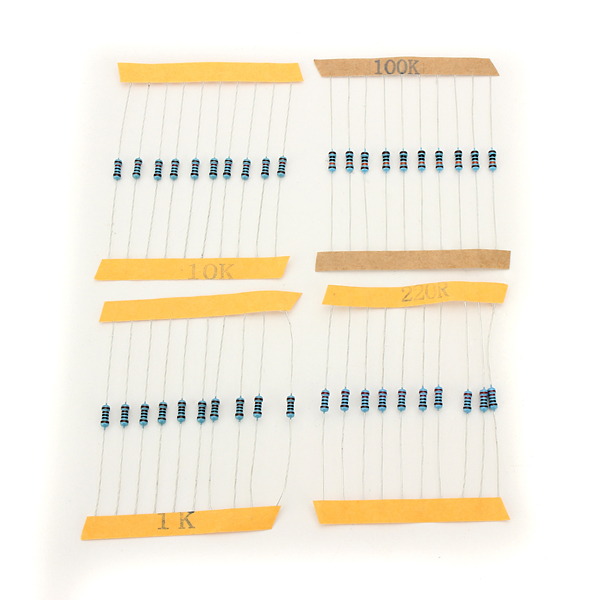 With this kit, you don’t have to worry about running out of resistors again! The resistors are 1/4 watt 4 band and are labelled so you can easily identify them.